Joe Duane Robinson, 70, of Coleman, died Friday, September 7, 2018 at Coleman County Medical Center. Graveside service will be 11:00 a.m. Saturday, September 15, 2018 at the Coleman City Cemetery Pavilion with Rev. John Stanislaw officiating. There will be a visitation with the family from 1:00 p.m. to 2:00 p.m. Saturday at the Family Life Center of First Baptist Church, 201 East Elm Street, Coleman. Burial will be in the Coleman City Cemetery. Services are under the direction of Stevens Funeral Home. Joe Duane Robinson was born April 24, 1948 in Kansas City, Kansas to Duane Melford Robinson and Nora Lee Smith Robinson. Joe grew up in Coleman and graduated from Coleman High School in 1966. He then attended Angelo State University in San Angelo. 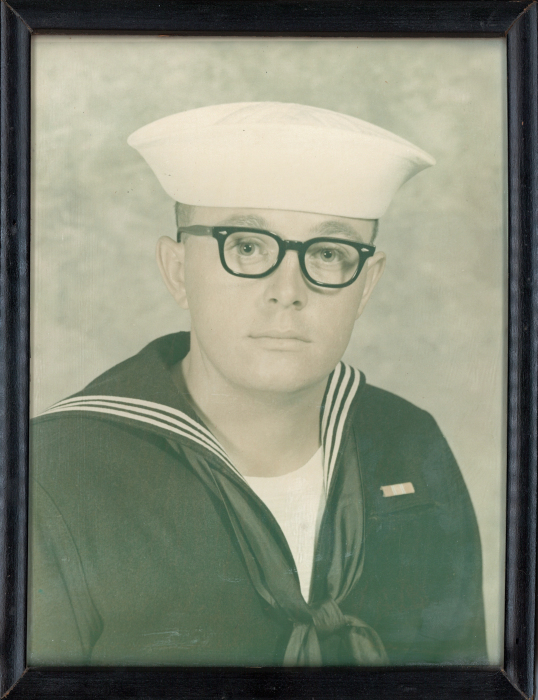 Joe served in the United States Navy during the Vietnam War and was stationed on the USS Dewey as a Radio Operator. He met Julianna Evelyn Craft, who was also stationed on the USS Dewey. They married in 1971 in Bainbridge, Maryland. After being honorably discharged from the Navy, Joe brought Julie to Coleman, where they raised their family. Julie preceded him in death on February 4, 1999. Joe married Karen Kimbrell Mitchell on June 9, 2000. He worked for several years at Dry Manufacturing and SelKirk Manufacturing. For the last 40 years, Joe worked at various grocery stores in Coleman and had been working at the Shoppin’ Baskit until this past May. Joe loved camping and woodworking and enjoyed reading and shopping. He was a member of First Baptist Church. Survivors include his wife, Karen Robinson of Coleman; five children, Cherrie Brooks and husband, Jimmy, of Abilene, Timothy Robinson and wife, Sandi, of Abilene, Dale Mitchell of Houston, Gary Mitchell of Navasota, Marc Mitchell and wife, Kayla, of Converse; one brother, Larry Robinson and wife, Elaine, of Coleman; one brother-in-law, Don Rasbury of Rockwall; nine grandchildren, Britney Gardner, Devin Martinez, Damion Martinez, Jenna Martinez, Bradan Brooks, Ryan Robinson, Trey Robinson, Statin, Baker, Marcus Mitchell; five great grandchildren, Harmony Gardner, Carlee Gardner, Paizlee Gardner, Lauren Robinson and Randall Robinson. Joe is also survived by two nephews, Michael Robinson and Jonathan Robinson and one niece, Amanda Rasbury. Along with his first wife, Julie, and parents, Duane Robinson and Nora Robinson Bevel, Joe was also preceded in death by a sister, Judy Rasbury. Memorial donations may be made to the First Baptist Church Sanctuary Renovation Fund, P. O. Box 983, Coleman, Texas 76834. Remembrances and condolences for the family may be left online at www.livingmemorials.com.